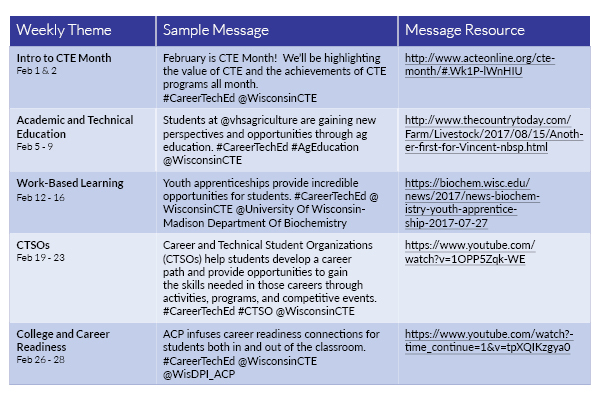 Posted in Advance CTE Announcements, Advance CTE Resources, CTE: Learning that works for America, Research, Resources, Uncategorized | Comments Off on This Week in CTE: Happy CTE Month! 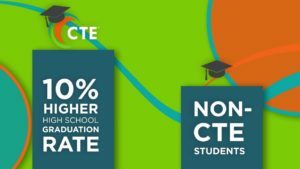 Twice last week, President Trump praised Career Technical Education (CTE) and called for its expansion – at the State of the Union and during a meeting of Republican leaders in West Virginia. 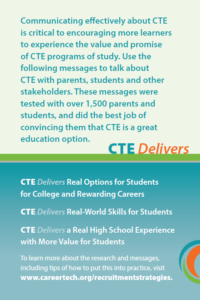 Similarly, when CTE is pigeon-holed into a few blue collar fields, it deemphasizes the vast opportunities available in a variety of industries and sectors – from culinology to architecture – and can turn off students who want to explore their options. 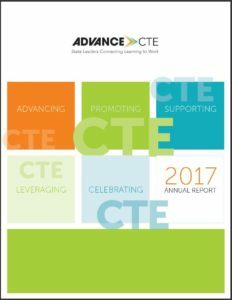 Again, we appreciate the President’s interest and excitement over CTE and look forward to more opportunities to work with the Administration and Congress to put in place the right policies that will support our vision for high-quality CTE for all learners across high schools, area technical centers and community colleges. But, if we don’t talk about the policies and pathways in the right way, too many parents and students continue to see it as a great option – for someone else.